Good Spinel twins are rare from Peru, these are especially fine, very sharp and attractive. From John Marshall's worldwide Galena collection, this is a very distinctive and esthetic piece, he held it in high regard. A nice, well composed galena from the Mid Continent mine. 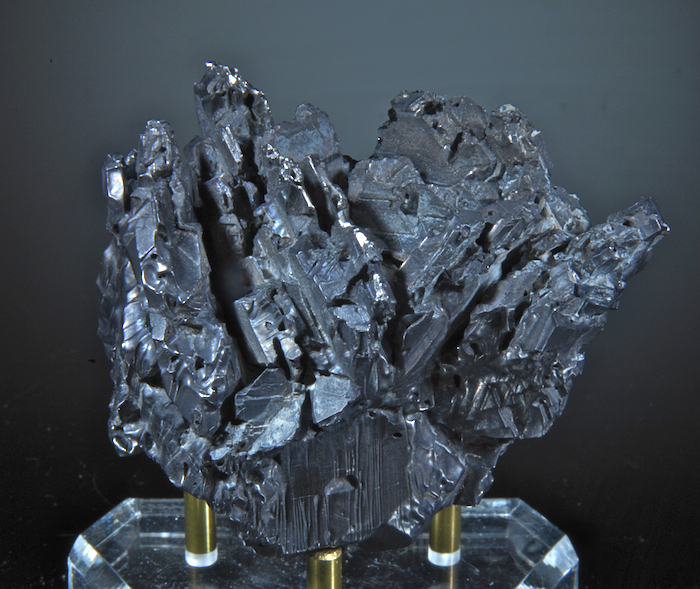 Good luster on crystals that reach 3 cm, displays very well and a nice addition to any suite of Galena or Tri-state classics. Sharp and excellent damage wise. Specimens like this have become scarce as the mines have been closed for several decades now. 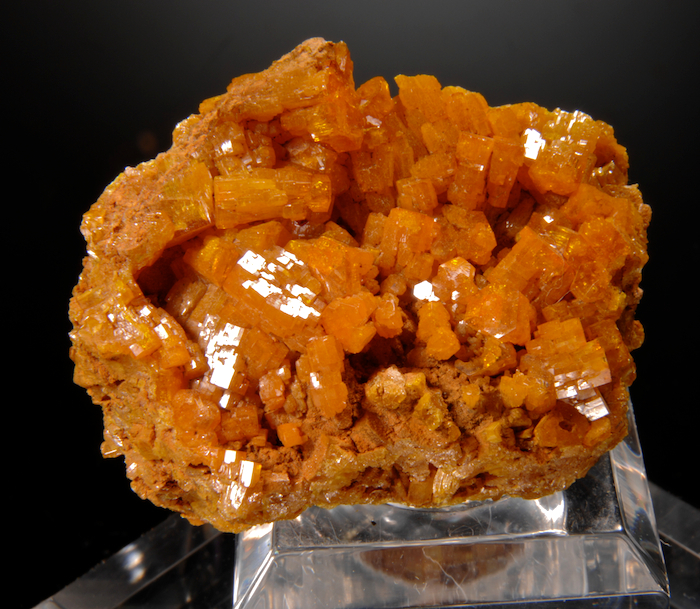 An excellent, clean and well crystallized Mimetite from the world class finds of 2003 at Pingtouling. Many collectors now consider this small find to have produced the world most attractive Mimetite, and as the mine is flooded and collapsed there will be no more. These are already classics with prices climbing and few good ones available. This a nice piece and the color is rich (a little more orange-yellow than is seen on some computers). In very good condition there is no eye visible damage on the display area. It is nearly pure mimetite, and heavy. This has been carefully stabilized so there is no worry of crumbling matrix. Simply put, this is a huge, gleaming, esthetic and fine Arsenopyrite from Yaoganxian. 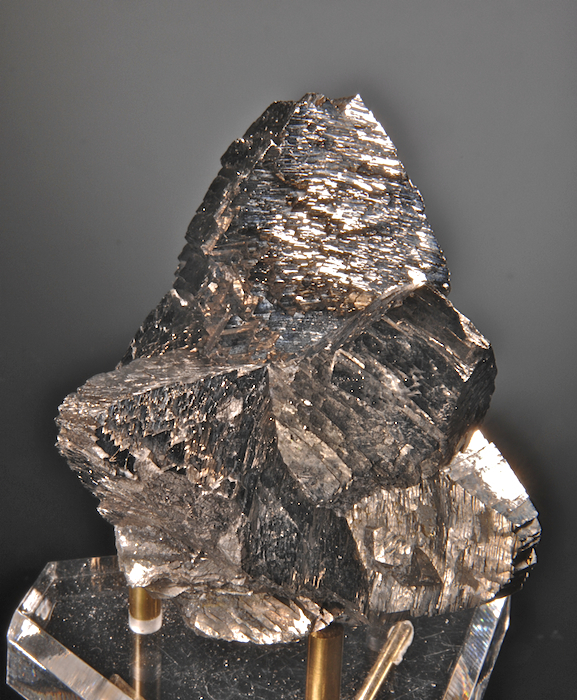 Arsenopyrite is not rare, but great form with huge, undamaged crystals are. The largest here is 6.3 CM and doubly terminated. Brilliant luster, nice architecture, impressive display face and outstanding for the species. I have never seen a better example for sale from any locality. Yaoganxian Arsenopyrites rank with the best, I think eclipsing Panasquira, Cornwall and Peru. This specimen is 2002 vintage. Contacting and removal damage is limited to the rear base area, not visible on display. Although this might seem expensive for a common, metallic mineral, this is an incredible value for a top display piece! A wonderfully displayed gemmy calcite (4.2 CM across)sits on a small shard of matrix that is dusted with smaller gemmy calcites as well. 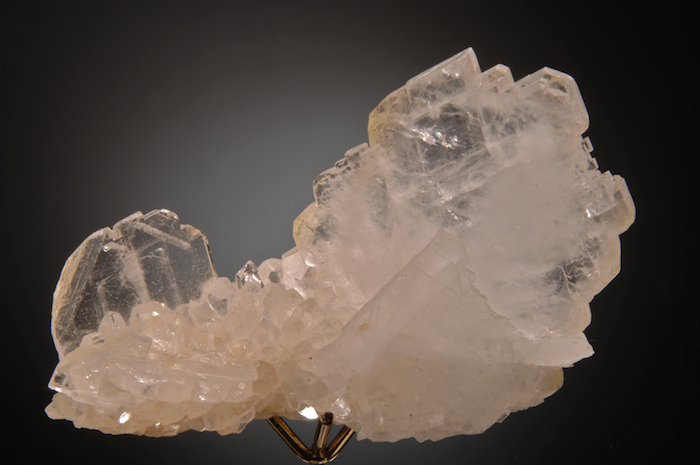 Great form and condition, the calcite has some glass clear faces and interior and others with a very light frosting. This looks great from any angle, from one side looking like an old English Calcite and from others like a modern Dalngorsk piece. 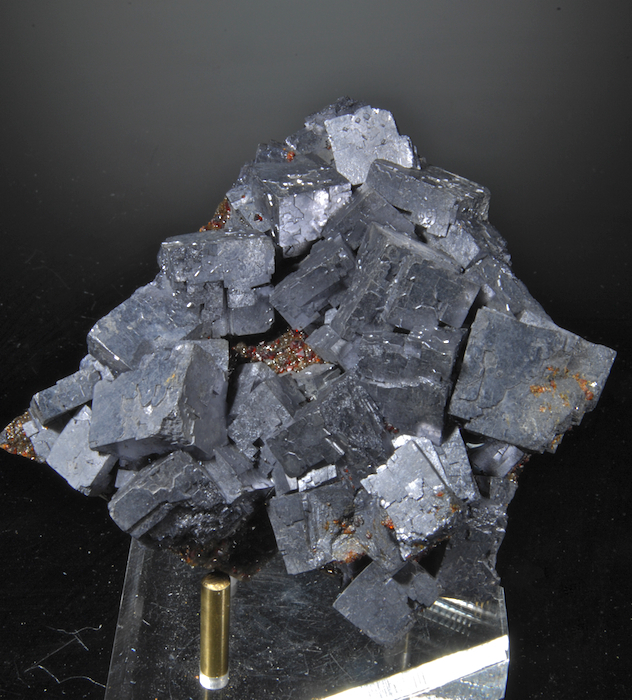 This is from the Daye mine in Hubei, China which has produced a lot of great calcites, but this one is distinctly different than others we have seen. 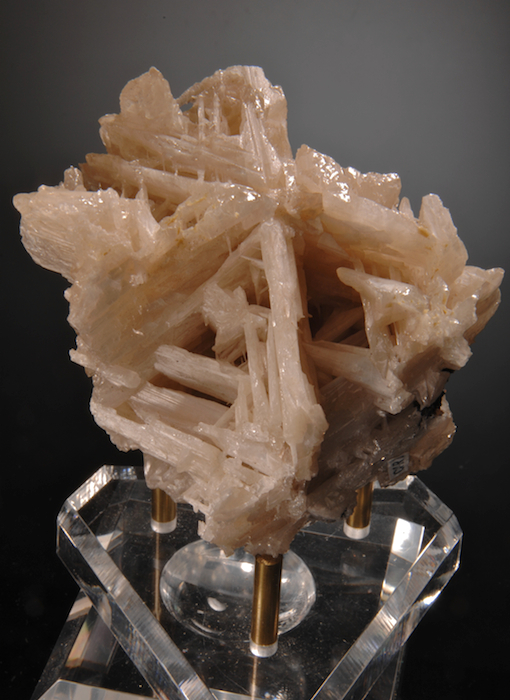 An exceptional and pristine Barite. The locality at Jinkohe was incredibly productive about 5 years ago, with lots of Barites coming out. Most were unimpressive or badly damaged but a few were world class. 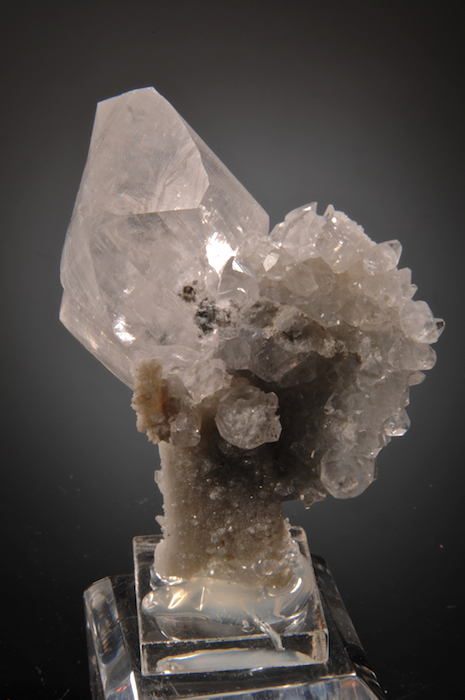 This piece is undamaged and has 2 main Barites (3.7 and 7.2 CM) with different habits but both with glasslike transparency. Despite being a "white on white" mineral this does display strongly and the delicate form is very fine. Not long ago when China was closed to the west, the only fine minerals we knew from there were twinned Cinnabars. They were the worlds best. They were also unobtainable, only seen in old collections or museums, and worth a fortune. That has changed! 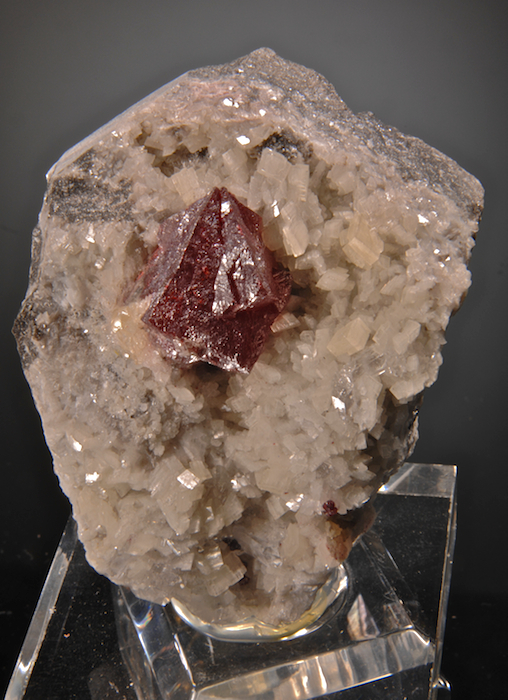 This is a fine classic style Cinnabar with good translucency nested in dolomite crystals. Well better than average, this displays well with great contrast. The quality is better than a piece that sold in the early 70's for 20K!